Geoff has 25 years' experience in the construction and infrastructure sectors. He works with many of the construction industry’s major organisations on projects from start to finish. His expertise includes advice on tenders, contract drafting and negotiation through to project finalisation including claims preparation and advice, as well as dispute resolution. Geoff acts for owners, contractors and facility managers on all types of contracting and procurement. 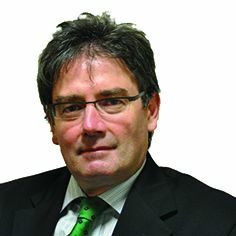 He has experience in public-private partnerships, lump sum and guaranteed maximum price tendering, as well as construction management and other contracting delivery methods, including early works (such as demolition and earthworks) and design package preparation with subsequent novation to the successful design and construct tenderer. In the 2013 Asia Pacific Legal 500, Geoff, along with Megan Calder, is described as being 'extremely knowledgable' and 'approachable', and 'always go out of their way' to assist clients. Geoff has also been named in the Best Lawyers ® listing for Construction/Infrastructure Law in 2014, 2015, 2016 and 2017.